Signed numbered limited (to just 500 copies - this is number 69) edn - fine/fine. Book two of the ongoing phenomenon soon to be filmed by Peter "Lord of the Rings" Jackson, this copy has been signed by the author to the limitation page, and by Dominic Harman, cover artist. The Subterranean Press limited edition features a full-color dustjacket by original Temeraire illustrator Dominic Harman, plus four full color illustrations. In addition, this volume is printed in two colors throughout on 80# Finch paper bringing the novel a level of class and grace it so richly deserves. Synopsis : History takes flight in the second book of Naomi Novik's deliciously addictive series which captures the Napoleonic period perfectly and skillfully layers the timeline with imagination by adding a Dragon Air Force to the battle for England. 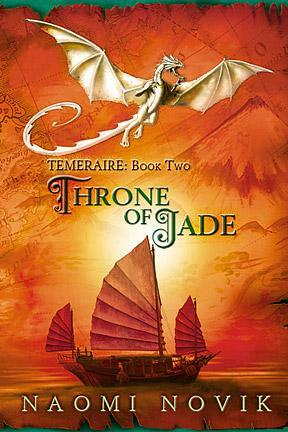 Captain William Laurence of the British Air Corps and his dragon, Temeraire, begin their slow voyage to China, fearful that upon landing they will be forced to part by Imperial decree. Temeraire is a Celestial dragon, the most highly-prized of all draconic breeds; famed for their intelligence, agility and most of all for the Divine Wind -- their terrible roar capable of shattering the heavy timbers of war ships, shattering woodland and destroying other dragons mid-flight. Temeraire's egg was captured and claimed by the British at sea, but he was meant to be the companion of the Emperor Napoleon and not captained by a mere officer in the British Air Corps. The Chinese have demanded his return and the British cannot refuse them -- they cannot afford to provoke the asian super-power into allying themselves with the French -- even if it costs them the most powerful weapon in their arsenal and inflicts the most unimaginable pain upon Laurence and his dragon.